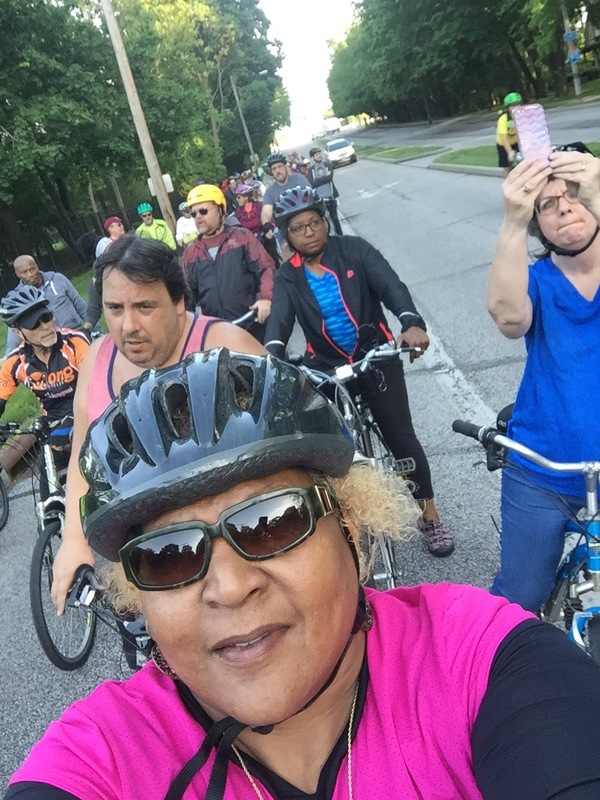 A selfie of Slow Roll Cleveland and my bike buddy and sister Sharyn (in the striped shirt). A few years ago I started biking for the first time since high school – a good twenty plus years ago. At the time I just knew it would be fun! I had no idea it would be good therapy. Until today it was fun, and a great way to get in shape. Tonight after a grueling day I participated in the weekly Slow Roll Cleveland. The rides are an opportunity to promote safe biking and to increase awareness in the concept of a shared road – auto and bike traffic. Today’s Roll was in my general neighborhood and served as a true stress reliever complete with beautiful views of Lake Erie. 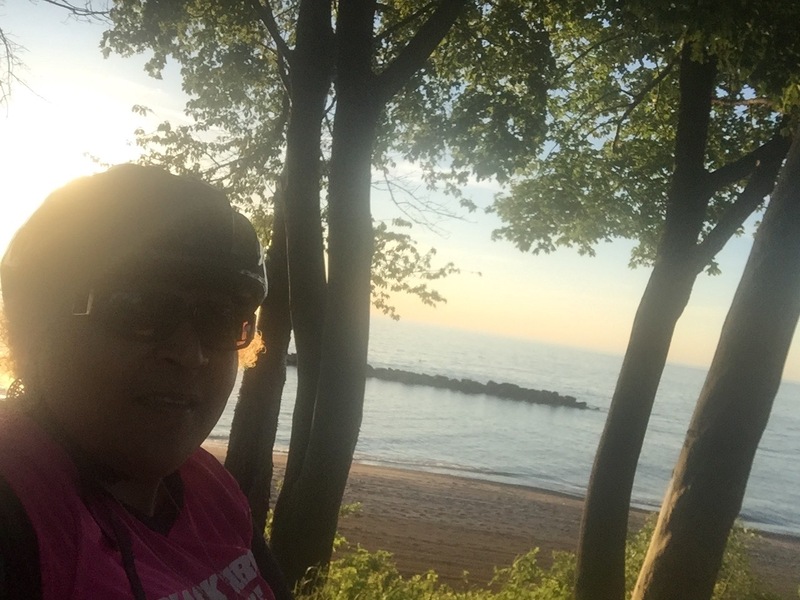 A selfie as I ride along Lake Erie at Euclid Beach Park. So if you’re looking to relieve some stress join Slow Roll Cleveland. For details check out their Facebook page. If you’re not in Cleveland, don’t fret there’s probably a chapter in your city. Author shelleyshockleyPosted on May 23, 2017 May 23, 2017 Categories UncategorizedTags #bgdb, #biking, #slowrollcleveland, thisiscleLeave a comment on Biking is therapeutic! Happy Earth Day – have you been kind to Mother Earth? 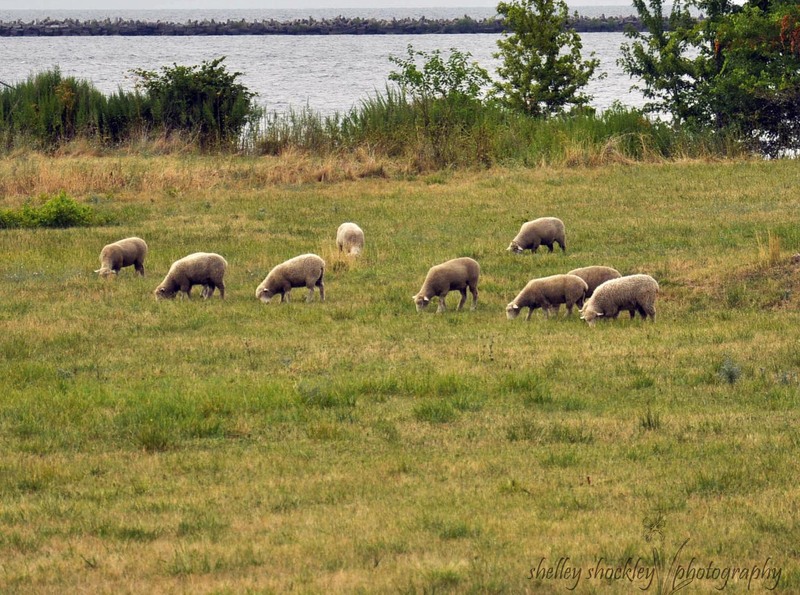 These lamb are grazing just minutes from downtown Cleveland as part of an Urban Shepherds project. Today we acknowledge Earth Day in an attempt to bring awareness to the many things that humans do to pollute and defame our land. I am a culprit, but I am working to be a better steward of our world. What are you doing? The Urban Shepherds project is definitely working to do their part. To learn more about their work visit their website by clicking on the name. Even if they weren’t making the world a little better, they definitely bring joy to me! Each spring I anxiously look to my right each day as I come to work to see if the sheep have returned. I don’t long to live on a farm or anything, I just really enjoy that little touch of country in the city and having the ability to watch them up close. Author shelleyshockleyPosted on April 22, 2015 April 22, 2015 Categories UncategorizedTags Cleveland, Earth Day, thisiscle, Urban ShepherdsLeave a comment on Happy Earth Day – have you been kind to Mother Earth?